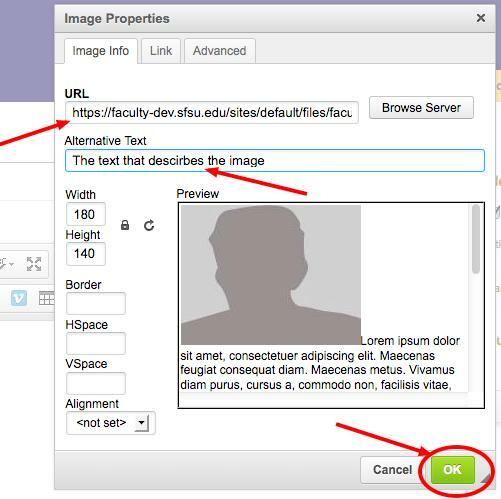 When creating or editing a content page, place the cursor where you want to add an image and select the image icon. If your image is not listed, you need to add the image to this storage area. 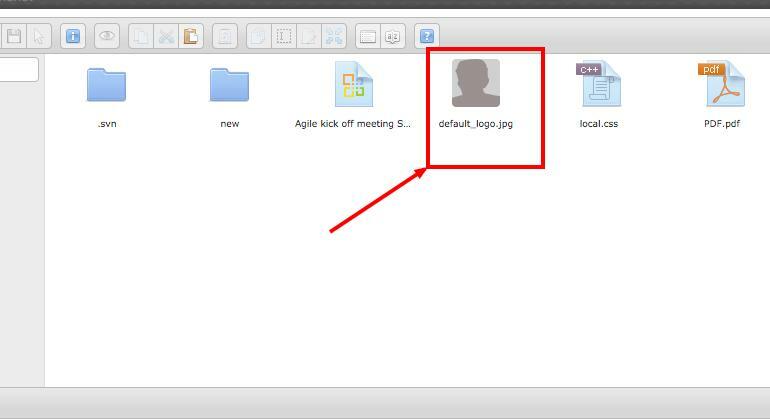 You can do this by either dragging-dropping the image file from your desktop into the right section of the pop-up or use the ‘Upload file’ icon. 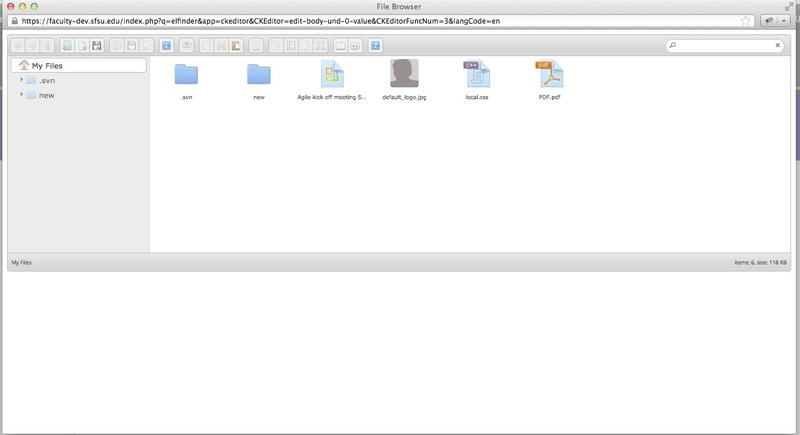 Once the image file is uploaded, it will appear on the right section on the pop-up. Double click on the file. Fill in the “Alternative Text” field with the image’s description. Select Ok button. Save the page. Now the image gets added to the page.